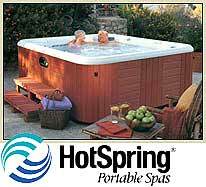 Hot Spring Spas Des Moines, a new and used hot tub dealer with stores in Lake Elmo and Minnetonka, MN and Urbandale, Carroll and Arnolds Park in Iowa is supporting Juvenile Arthritis Awareness Month by providing free spa test soaks in all their locations. Juvenile arthritis (JA) is an umbrella term used to describe the many autoimmune and inflammatory conditions that can develop in children ages 16 and younger. According to the Arthritis Foundation, juvenile arthritis is one of the most common diseases in children, with almost 300,000 in the United States diagnosed with the debilitating illness. “Many children suffer from this very painful disease longer than they have to because arthritis is usually thought of a problem only for older adults,” says Thad Schaben, vice president of HotSpring Spas of Iowa and Minnesota. “Parents and other caregivers should be aware of what to look for because JA can have serious, even life-threatening impact on a young child. "When joint pain, swelling or stiffness occurs in one or more joints for at least six weeks, it may be an early signal of a serious, inflammatory rheumatic disease that requires immediate medical treatment to prevent permanent joint damage," says Arthritis Foundation Vice President of Public Health, Dr. Patience White. According to Schaben, “many adults and children affected by arthritis seek relief by soaking in the warm, soothing water of a hot tub. A hot tub can provide the warmth, massage and buoyancy needed to both relax and exercise joints and muscles in the convenience and comfort of a backyard.” In addition, , the buoyancy of the water reduces body weight by almost 90% giving the body a well-deserved break from stiff and sore joints and muscles,” continued Schaben.